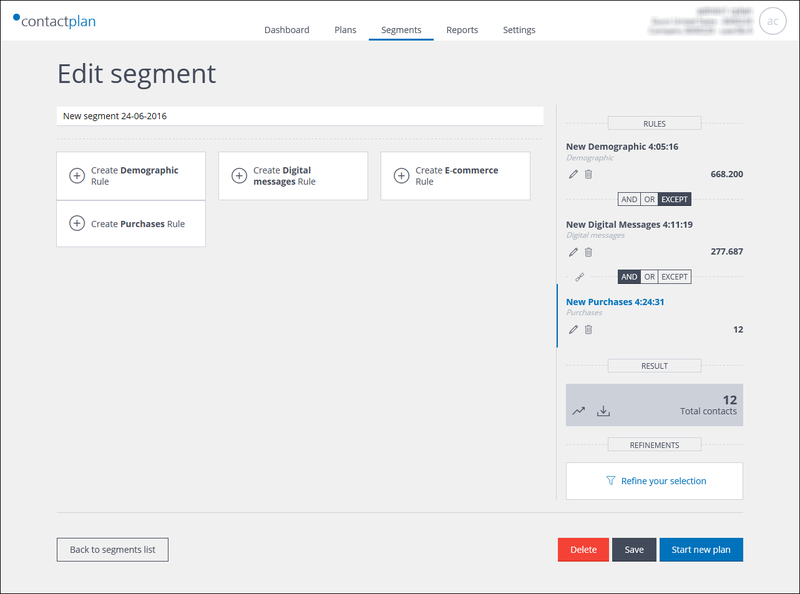 The My segments page displays. Locate the relevant segment in the Segments list view. Click the Bin icon, positioned to the far right of the relevant row in the list. The Confirm deletion page displays. See UI icons for more details about the icons. Click Confirm to delete, or Cancel to abort. Locate the required segment using the Segments list or Segments cards view. The Edit segment page displays. The Confirm deletion page displays. The segment is deleted and you are returned to the My segments page. Deleting a segment cannot be reversed. If you delete a segment, it still continues to be used by any plans to which it has already been applied. If any such plan is later edited, a warning, stating that the segment has been deleted, is displayed. You can, however, still continue to use the deleted segment with the relevant plan, provided that you do not select a new one and save the plan.